﻿ Stainless Steel Woven Wire Mesh - Woven Wire Mesh - Anping County Zhuoda Hardware Mesh Co., Ltd. 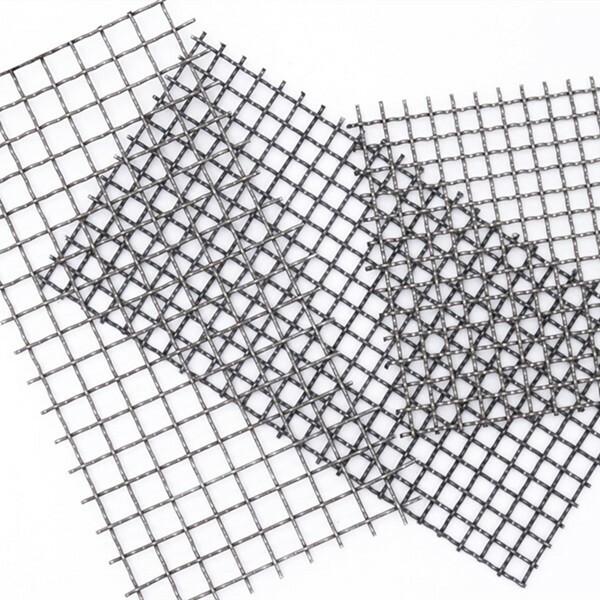 Stainless steel mesh is the most popular woven screen in the industrial world. It is known for its corrosion resistance and strength. Stainless steel wire mesh contains chromium and nickel in addition to steel. It is non-magnetic in the annealed condition. After stainless steel wire mesh has been woven, it may become slightly magnetic due to cold working. The two basic metal types: Alloy *Type 304* and *Type 316*. Type 304 is the basic stainless alloy, and unless otherwise specified it is assumed that this type is acceptable. Also called 18-8 due to 18% chromium and 8% nickel. T304 melts at 2600 degrees F (1430 C) but its maximum recommended temperature for continuous service is 1450 degrees F. (790 C) and is useful for intermediate service up to 1650 degrees F (900 C). Its' uses include: sorting and screening of abrasives, liquids, powders and other solids. It is the less expensive alloy but not as corrosion resistant as T316. Type 316 is a special stainless alloy due to the addition of 2% molybdenum. This increases its resistance to corrosion by salts, acids and seawater. Also called 18-10 due to 18% chromium and 10% nickel. T316 melts at 2500 degrees F (1375 C) but its maximum recommended temperature for continuous service is 1500 degrees F. (815 C) and is useful for intermediate service up to 1650 degrees F (900 C). Its' uses include: processing of oils and foods, chemicals, and pharmaceuticals.